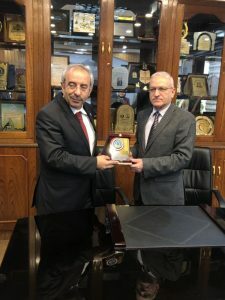 Rector of University of Baghdad, Prof. Dr. Alaa Abdul Hussein Abdul Rasool received a delegation from Yüzüncü Yıl University, Turkey, headed by University Rector Assistant Prof. Dr. Bunyan Batal and a number of university professors in the presence of Associate Rector for scientific affairs Prof. Dr. Osama Fadhil Abdul Latif. 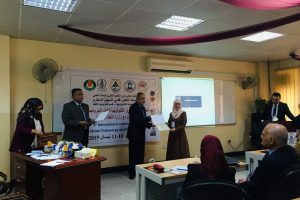 During the meeting, many issues related to educational and academic aspects were exchanged as well as the scientific role that the two universities could play in order to advance their reality. 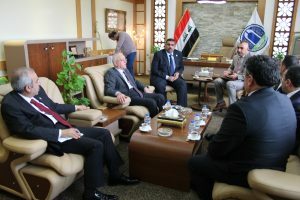 Rector of University of Baghdad gave a detailed overview about the university, its colleges, institutes, scientific research centers and their academic roles, stating that the university has research projects with European Union as well as twinning projects with a number of international universities in addition to a number of scholarship students who study in international universities and that our university seeks to activate academic collaboration between the two sides, especially in exchange of professors, joint research and the development of the mastery of Turkish language for Iraqi learners at the department of Turkish language, college of languages. 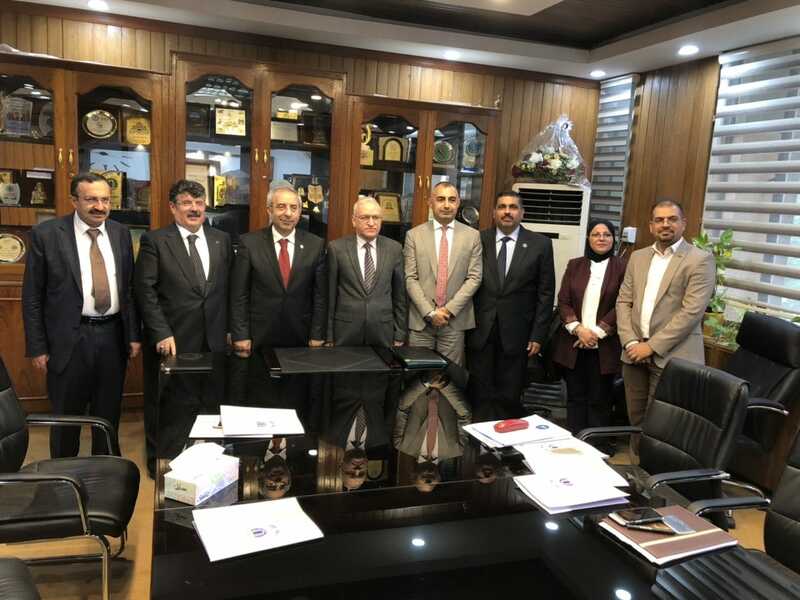 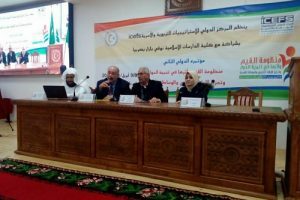 For his part, Dr. Abdul Latif stated that University of Baghdad seeks to have a partnership with its Turkish counterpart and to carry out scientific projects to contribute to the development of scientific and educational staff. 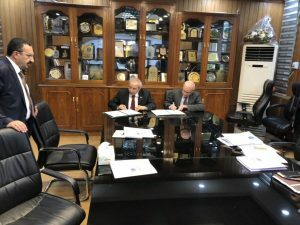 At the conclusion of this meeting, the two rectors signed a scientific cultural agreement that allows the parties to open up prospects for scientific cooperation in various fields where the visiting delegation expressed its great pleasure in visiting University of Baghdad to keep abreast of its advanced educational and academic level. 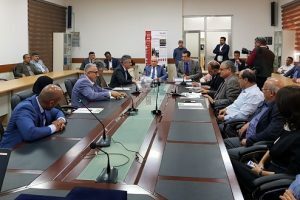 Also the visiting delegation accompanied with Associate Rector for scientific affairs made a tour in the college of engineering and held a joint meeting in the presence of the dean of the college, Prof. Dr. Saba Neima al-Khafaji, the dean of the college of agriculture Prof. Dr. Abdul Amir al-Attar and a number of professors.